Located in the central Midwest, Missouri is divided into two climate zones on the U.S. Department of Agriculture Plant Hardiness Zone Map. The northern part of the state, including Kansas City, is in Zone 5, while the southern part of the state, including St. Louis, is in Zone 6. Both areas are subject to frost between fall and spring, and the soil in much of the state is alkaline. The Missouri growing season is about 150 days long. Most vegetables should be planted after the last frost and harvested before the first frost. Asparagus is one of the few vegetables that is perennial. Though it takes two to three years to get an optimum harvest, the plants produce good yields for up to 15 years. When first planting asparagus, select a large spot where a trench may be dug, as seeds should be sown low in the ground. As the spears grow, gradually fill in the trench, taking care not to cover the crowns. Asparagus grow best in southern Missouri, and should be planted in full sun and get ample water. The roots will survive Missouri's winters, but stalks will turn brown in winter. Okra is a warm-season crop that may be planted anywhere in Missouri in the late spring to early summer, once the ground has warmed to 70 degrees F. Okra is a bushy plant with big, tropical leaves that produces slightly fuzzy pods that may be harvested and used in cooking. 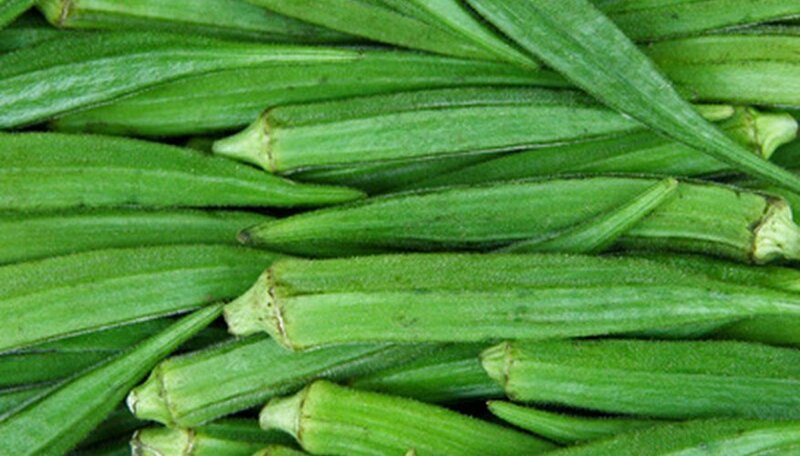 Okra is a key ingredient in gumbo. Okra plants require full sun and regular water and should be ready to harvest within 60 days of sowing seeds. Winter squash is not technically a winter vegetable in Missouri, as it should be planted in May (early in the month in the south and late in the month in the north), and it should be ready for harvest in late July to early August. "Butternut" and "Spaghetti" are cultivars of winter squash, which is a vine-like plant. The main advantage of winter squash over its summer relative is that ripe vegetables store well. Winter squash should be harvested before hot, humid weather. The vines thrive in full sun with regular water.